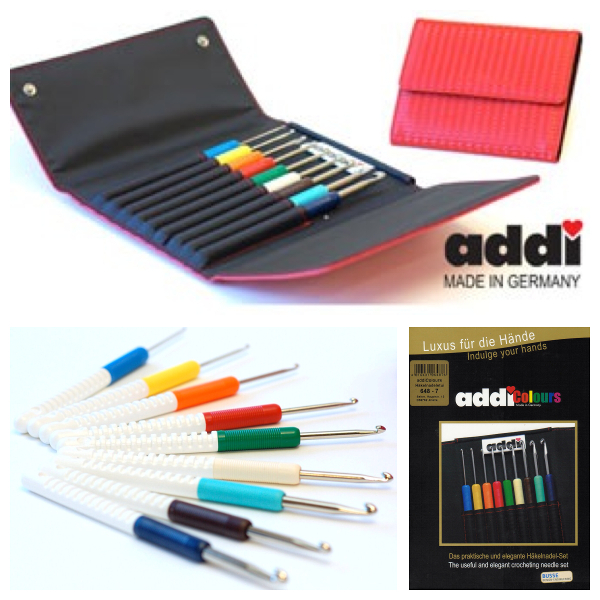 The famousADDI Comfort Grip Hooks are now available in a handy carry pouch. The nine hook sizes included in the set are 2, 2.5, 3, 3.5, 4, 4.5, 5, 5.5 & 6mm. The beautiful colour coded handles make the hooks a pleasure to use. Perfect for those seeking an ergonomichook.